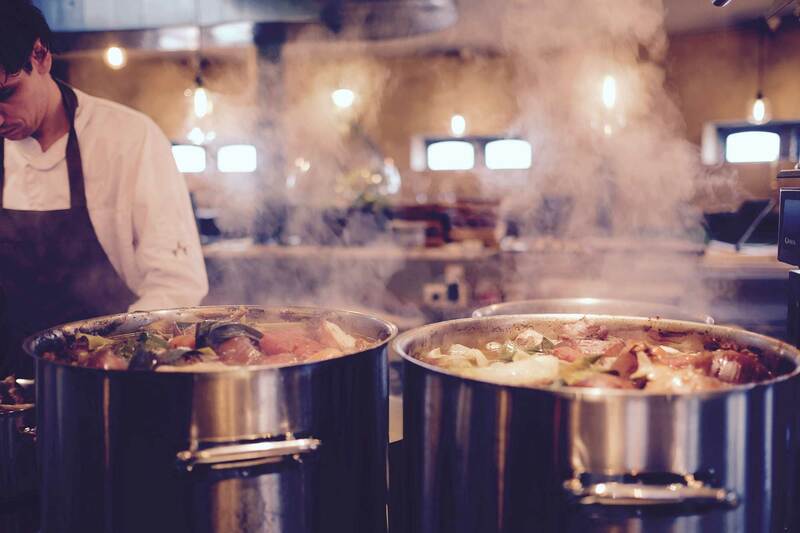 Welcome and thank you for your interest in Souperb, extraordinarily good soups! In order to receive the coupon, click below and enter your email address. It’s the start of fall and I’m thrilled to be moving indoors. One of my favorite things is to cook for friends and family. With the cooler nights, I love to gather friends in the kitchen or around the warmth of the dinner table. I recently read an article that asked for the last time you felt pure joy and I completed that sentence with…cooking for others. Of course, I love to make soup and my heart smiles when I smell a stock simmer on the stove. 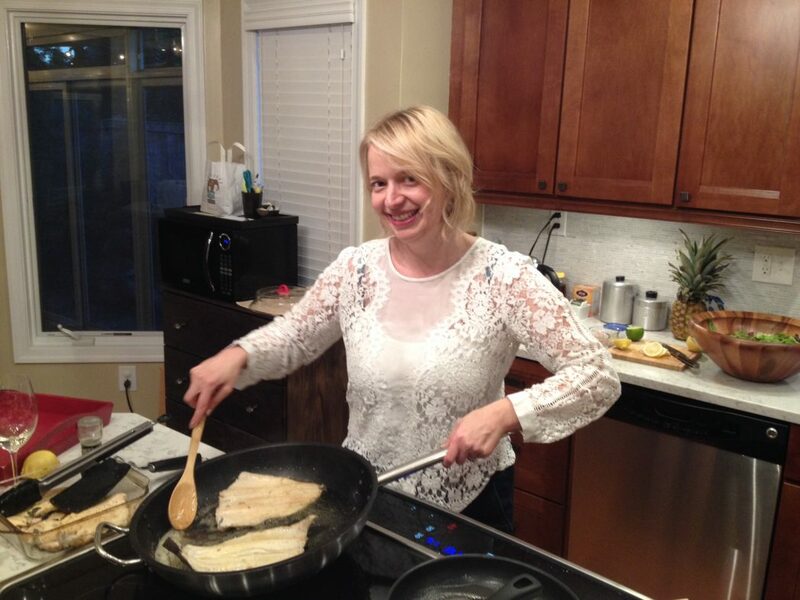 Does cooking bring you joy? We’d love to hear how cooking makes you happy on our facebook page. See f link at the bottom of this page. Here is our list of ingredients for our four soups available in grocery stores. 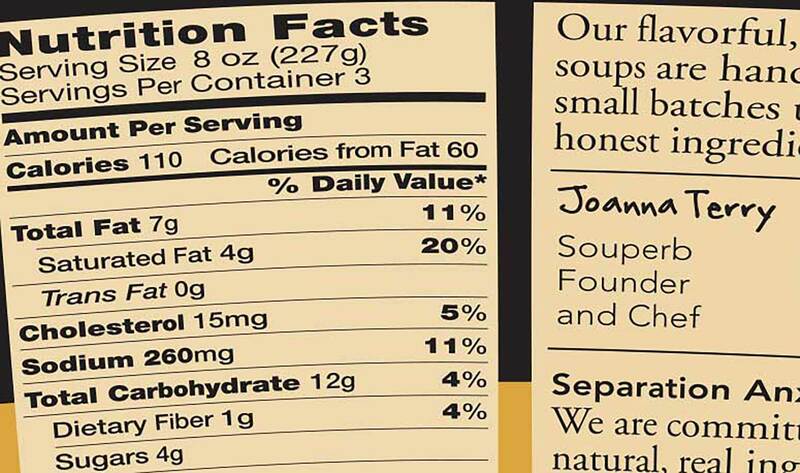 We are proud of our quality, “real” food, ingredient list. ENJOY! MADE IN A FACILITY THAT PROCESSES TREE NUTS, MILK, SOY AND WHEAT. Learn how to make a favorite chilled soup – Cucumber with dill and juniper berry. Joanna will show you ways to impress your guests with this unique chilled soup. Nutrition Facts are now available! Souperb soups are nutrient pack and delicious. 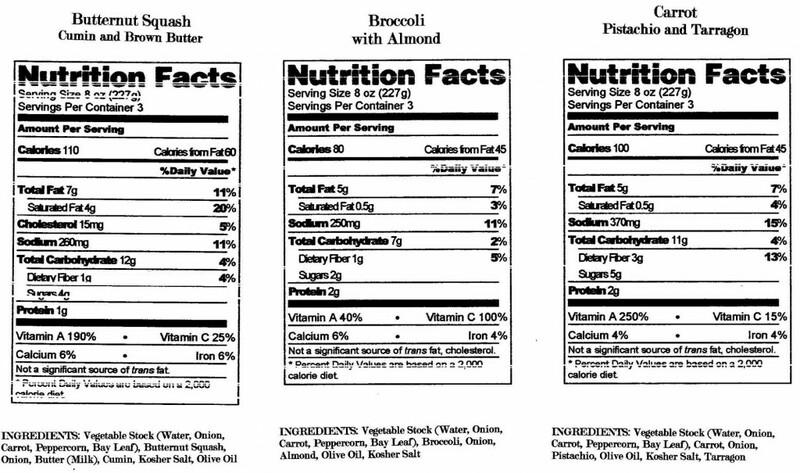 Here are nutrition facts for three of our regular soups. Think it’s too hot for soup…well, making a Carrot Soup with Coconut and Lemongrass that’s great chilled with a squeeze of lime. It’s impressive and will be available this weekend. Another great chilled soup, the Asparagus with Leek and Chervil will also be available this weekend. Supplies are limited so come by early. Will also have the signature Butternut Squash with Cumin and Brown Butter. Still able to get squash from California, so still making the signature soup. See you at Alameda Farmers’ Market on Saturday, 5/4. On Sunday, 5/5, you will find us at Montclair and Fremont Farmers’ Markets. It’s warming up and spring brings some new vegetables to the farmers market. 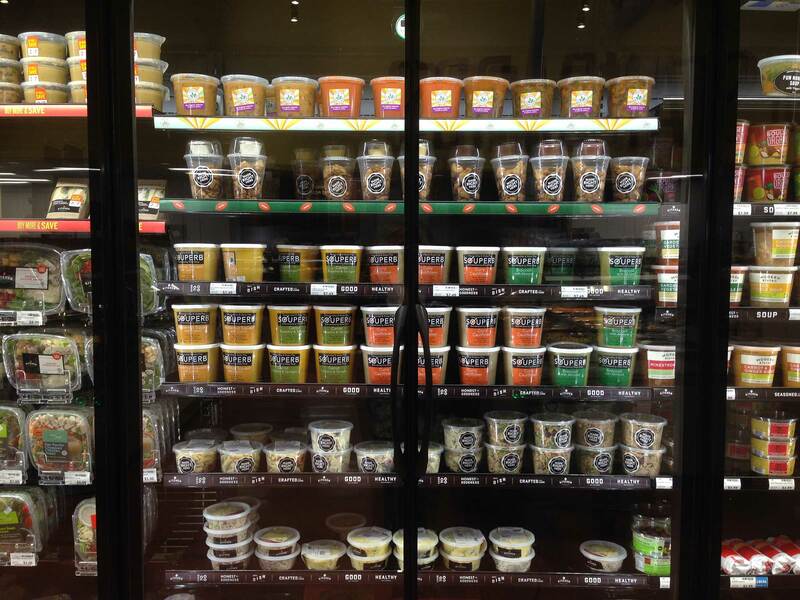 Naturally Souperb will be making soups this season that taste great chilled. 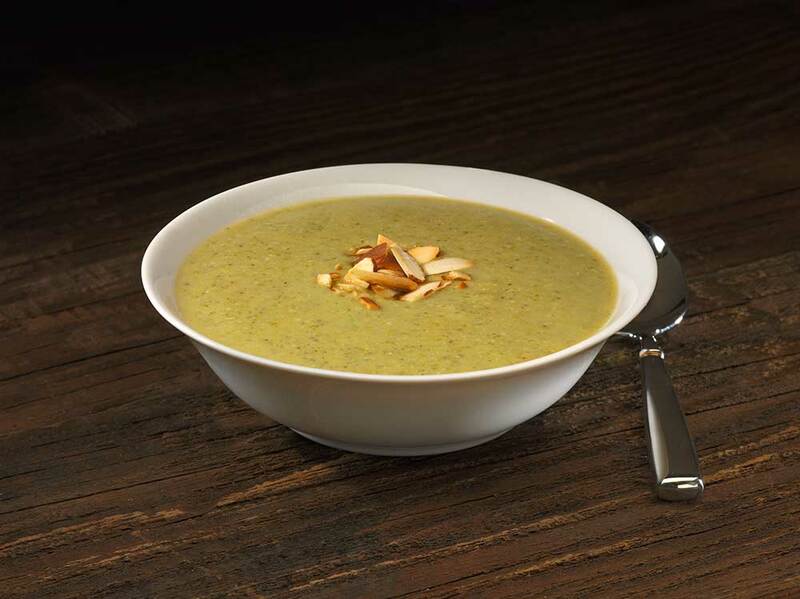 One of my favorite spring vegetables is asparagus and I’ve created a delightful soup showcasing its bold flavor. Come on by and try the asparagus soup with leek and chervil. You’ll get a taste of spring in just one scoop. It was a hit last weekend and we sold out. The signature butternut squash soup with cumin and brown butter will continue to be available. Naturally Souperb will not be the Alameda Saturday market this weekend (4/27). Find us at the Montclair and the Fremont Markets on Sunday (4/28). This week’s new soup feature Turmeric, a spice with many health benefits. It is said to be one of the most potent anti-inflammatories found in nature. 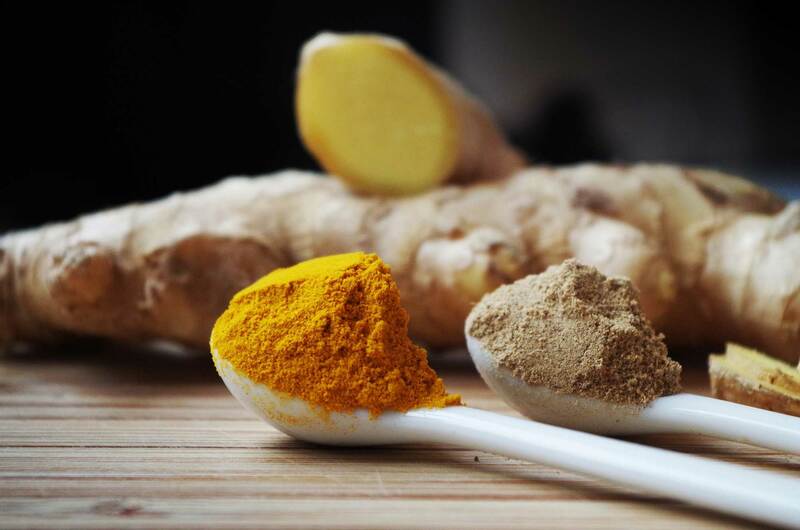 There are also claims that turmeric detoxifies the liver and elevates mood. Turmeric is a common spice found in Indian curries and is available in Naturally Souperb’s Lentil Curry soup. Come by the market this weekend and try some. There will also be a limited selection of the Vegan Chili with Mushroom and the signature Butternut Squash Soup with Cumin and Brown Butter. Stop by Alameda this Saturday (2/16) from 9-1, Montclair this Sunday (2/17) 9-1, or Alameda on Tuesday (2/19). Sold out last weekend of this delicious and healthy chili. There will be a limited supply of vegan Chili for this week’s farmers markets. It contains a delicious blend of red beans, mushrooms, garlic and ancho chili powder. It’s mild and flavorful. Not a single can was opened in the making of this hearty chili. 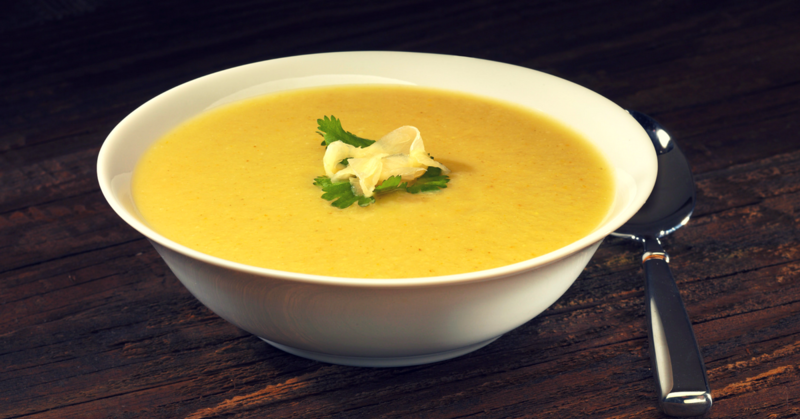 Will also have a Cauliflower and ginger soup seasoned with Indian spices, including turmeric and garam masala. It’s a recreation of aloo gobi (a North Indian dish). 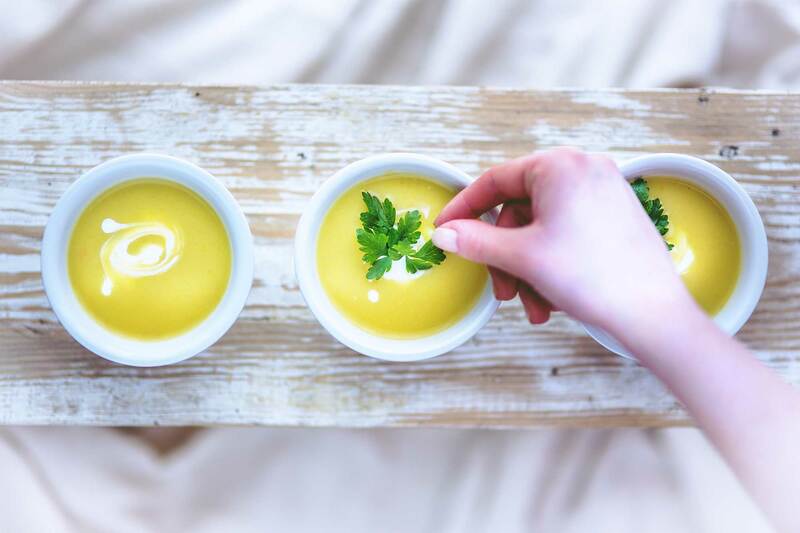 Turmeric has many health benefits including detoxification of the liver, so if you feel like something really healthy try this soup. The signature Butternut Squash with cumin and brown butter will be available too. See you Saturday (2/9) in Alameda, Sunday (2/10) in Montclair (check back, may need to cancel), or Tuesday (2/12) in Alameda. Going to a super bowl party and want to bring something everyone can enjoy? Come by the market and pick up some of the best ever Vegan Chili. It’s hearty and delicious with red beans, flavorful spices, and mushrooms. You’ll please everyone with this meat-free, dairy-free, and gluten-free bowl of healthy goodness. If chili isn’t your thing, I’ll also have the signature butternut squash with cumin and brown butter and the last batch of the spinach with potato and roasted garlic. I’ll be at Alameda from 9-1 on Saturday 2/2, Montclair 9-1 on Sunday 2/3, and Alameda 9-1 on Tuesday 2/5. Want to receive our Souperb updates automatically? Enter your email address below to sign up!